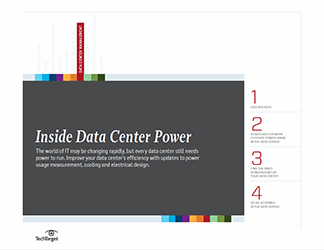 This chapter is included in the The green data center E-Book. With energy consumption concerns mounting throughout data centers, IT departments have turned to solutions large and small to ease their power consumption woes. This document explains about servers which present the most important opportunity and energy-efficient power supply which is the most important aspect of improving servers. Learn green data center best practices, get energy-efficient computing tips, and more in this e-book from SearchDataCenter.com.